Grease scum from cooking. Children opening and closing cabinets with sticky hands for snacks. Condensation from outside temperatures. All of these factors can affect the condition of your kitchen cabinets, requiring you to clean them on a regular basis. One of the best ways to clean kitchen cabinets is with some good old fashion TLC. You just have to be patient because it can definitely take some time (and a little elbow grease). 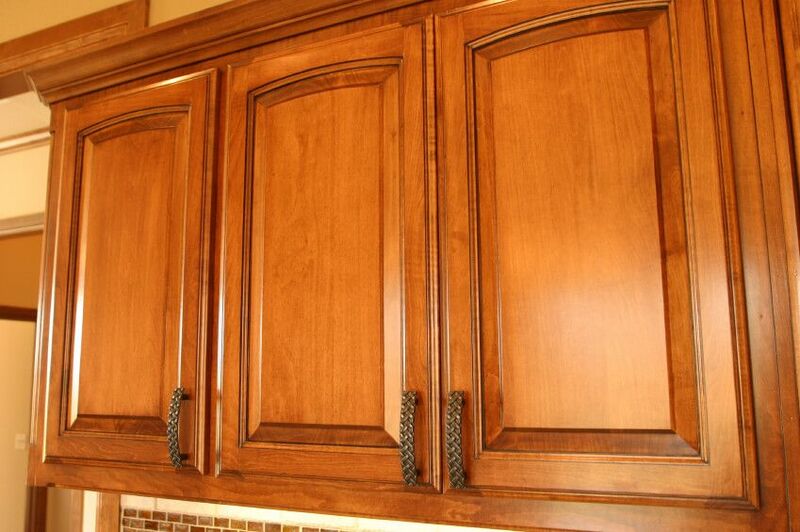 In general, the most commonly used finish for kitchen cabinets is conversion lacquer or finish. Conversion finishes are typically used by cabinet makers, both factory and custom built. They’ve been around for nearly a century, and are easy to take care of and keep relatively clean. They dry pretty fast, are resilient and durable, and are mostly resistant to moisture and heat, as well. How do kitchen cabinets get damaged? You cannot avoid constant use or light oxidation, two contributing factors that can eventually damage your kitchen cabinets – especially when not cleaned regularly. Detergent: You can use any oil/grease cutting dish or laundry detergent and water to clean wood cabinets. As a general rule, mix two cups of water with every cup of detergent. Don’t soak the cabinets as it could ruin the finish. After applying cleaning solution, rinse down with a damp cloth and then wipe with a separate dry cloth. Vinegar: If you don’t have liquid-based detergents, a vinegar and water combination can be a good substitution. Vinegar is good for removing sticky films most likely caused by dirty hands. Baking Soda: The worst stains should be fought with baking soda. Create a paste by mixing with water and then wipe clean with a damp cloth. If you have tried all of the above suggestions and still don’t have the ‘look’ you want, perhaps it’s time for a kitchen cabinet makeover. Republic West Remodeling is one of the leading kitchen remodeling contractors in Phoenix. Contact us today.